From Peter Salerno’s Kitchen: Italian Christmas Cookies Recipe – Design Your Lifestyle. December 2014 Peter Salerno, Inc. When it comes to authentic Italian cooking, you can’t do any better than going to the source itself – an Italian grandma! So it’s no wonder that Peter Salerno loves the site Cooking With Nonna, filled with delicious Italian recipes straight from the kitchens of Italian grandmothers. Cooking With Nonna’s mission is “Sharing Grandma’s Italian recipes with the new generations”, and we love the idea. From appetizers to entrees, lunches to dinners to desserts, the site features some great Italian classics and modern spins on your favorite old-world Italian dishes. Cooking With Nonna is the creation of Rossella and Vito Rago. Rossella travels to the kitchens of grandmothers from all regions of Italy, bringing you the greatest recipes (and secret family recipes!) from all over Italy. 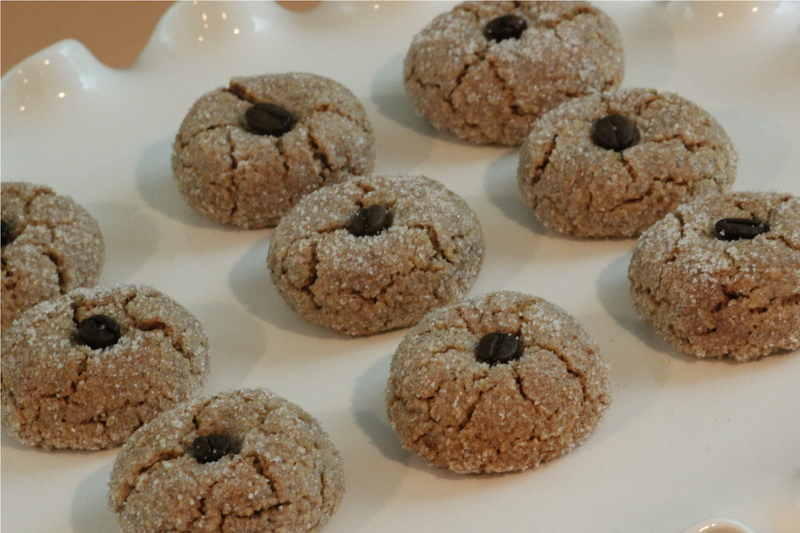 This recipe for Almond Coffee Cookies is one of Peter’s new favorites, and will be one of the recipes the Salernos use when they make Christmas cookies this year. Try it out for yourself, and see how these amazing flavors combine in your mouth for a beautiful Italian holiday dessert experience. To prepare the paste, boil the almonds and remove the peel. Once they are cold and somewhat dry, put them in a food processor or a blender and chop them finely. Put the chopped almonds in a bowl, add the zest of the two lemons, the sugar, the ground coffee and the cocoa powder. Mix everything very well. Add the egg whites and mix until the egg whites dilute the sugar and the mixture becomes a paste. Take a lump of mixture in your hand, roll it into a ball the size slightly smaller than a golf ball. Roll the ball completely into the sugar and place it on a baking sheet. Slightly insert a coffee bean on top of each cookie. Roll all your cookies and bake them for 30 mins. at 350F. See more by clicking on this link and visiting Cooking With Nonna! ← Find Elliot the Elf at Peter Salerno Inc.’s Showroom!